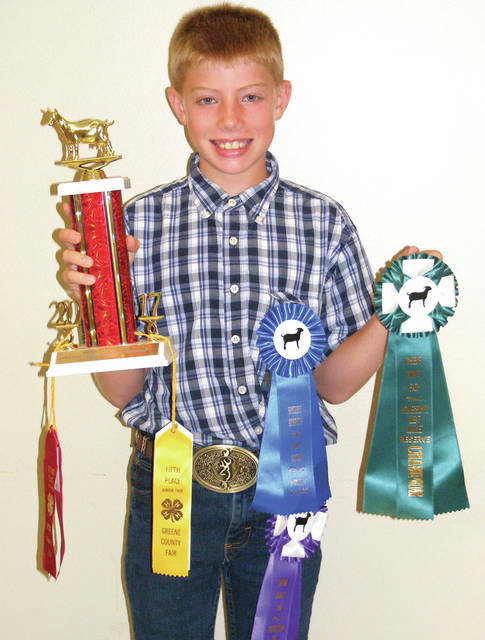 XENIA — Trevor and Eva Moore are each hoping their hard work will pay off in the show ring during the Greene County Fair. The siblings, of Jamestown, will each show goats this year. The Moores, both members of Hometown Heroes, will be bringing multiple goats this year to the Greene County Fair, participating in the market and production categories, among others. In the past, the siblings have seen their hard work pay off. Trevor, who is entering his third year at the fair, has brought home gold in categories including overall grand champion production doe, production doe division grand champion, homegrown meat market reserve champion, first place in the homegrown meat market class one, second place in the homegrown meat market goat, second place in the meat market goat, third place in the does 1-3 never freshened and fifth place in the goat showmanship class six. In addition to taking care of his goats, Trevor also plays baseball and basketball. Meanwhile, Eva, who is starting her fourth year at the fair, is pleased with her progress. “It was a rough first year, but I did better and made progress,” she said. 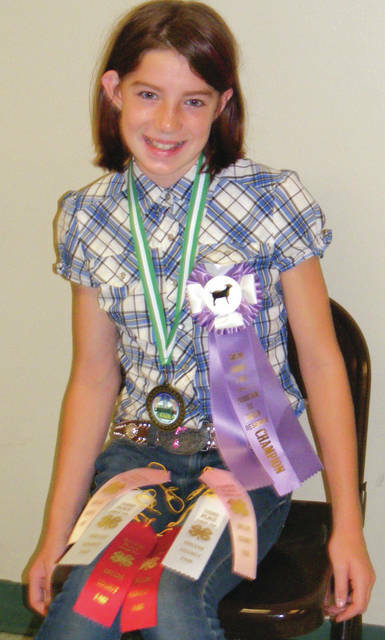 Eva has brought home gold in various categories including third place overall intermediate goat showmanship, reserve champion junior production doe, second place division intermediate showmanship, second place division junior production doe, third place division junior production doe, third place division homegrown market, fourth place division market and fourth place goat pack show. She additionally plays basketball and volleyball. The 12-year-old is also a goat master this year, which means she gets to hand out awards and be in the grand reserve photos. When she tried out for the position, she had to answer a variety of questions involving the fair, FFA, citizenship and leadership. While both are excited to show their goats, they also look forward to seeing old friends, while making new ones at the fair.